March 13 – 16, 2019 “Who is in Control? 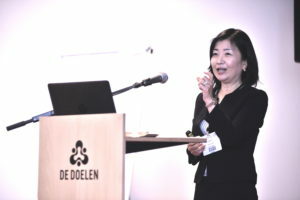 Cultural and Institutional Barriers to EOL Decisions in Japan and the United States.” (7th Annual International Advance Care Planning Conference (ACP-I)) (Rotterdam, The Netherlands) – Aki Morita, Psy.D. March 24, 2019 Aki Morita, Psy.D. Dr. Morita addressed an international body of physicians, scholars and researchers on how the healthcare systems in America and Japan manage or fail to manage adequately patients’ end-of-life issues. 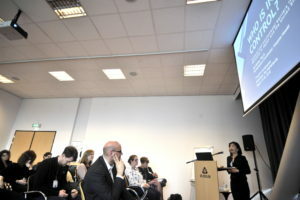 Her presentation identified an array of cross-cultural factors that may interject themselves into a patient’s end-of-life care and how those factors can impede and at times, even prevent, the patient from achieving their desired quality of end-of-life care. The interplay of cultural versus institutional factors in the vastly different American and Japanese societies oftentimes results in a terminal patient’s wishes going unheard or unacknowledged. Thus, Dr. Morita provided a framework for recognizing the importance of EOL discussions and how that conversation is an essential part of providing quality care to the dying patient.